This episode of the podcast I talk about the recent EMS agency that was bought out in NY and how as an EMS professional you need to be ready for opportunities. Take a listen to see what I mean and how this also translates to being a leader no matter what your position. Check out this free resource below. This brand new video will uncover nine key areas that many EMS professionals struggle with when taking exams. Fill out the form below to get access to this premium video training. Are You Feeling Deflated In EMS? This weeks podcast talks about having that “why bother” feeling. It’s common in many professions and you are not alone. Listen to this short 11 minute episode to see what I am talking about and my two suggestions to stay out of this mind set. Patients Should Not Be Dumped Off Stretchers Onto Floors But….. If you follow social media on EMS at all you may have seen the video with the paramedic flipping a patient off the stretcher. Have you ever been in the same situation as this paramedic? While using the excuse of “snapping” does not support this medics actions and while he was 100% wrong in doing this to the patient. Isn’t there a “but” someplace in this video? Take a listen to this weeks episode to see what I mean and be sure to leave your comments below. Be sure to subscribe to us and leave us a rating or feedback on ITunes. The last Monday Minutes for 2013. I end the year with tips on staying focused, how it can help you and your patient. I also talk about how when you know “You have a job” staying on task is vital. Take a listen and let me know if you or your partners have been guilty of these distractions. Which EMS “P” Are You? Where do you put yourself working in EMS? I think it can come down to three key self titles. Provider – the person that does the job, does it well and looks for that paycheck, the job security. Professional – still does a great a job, expects the paycheck but also goes above the basics. Seeks out training, knowledge and interaction with other EMS folks. Evangelist – beating the drum of all that is EMS. Absorbing as much education as you can, taking part in out of work activities. Spreading the good word of EMS where ever you go. So where do you fit in? Maybe you are a little of all three. The salty dog, the medic everyone calls Doc. 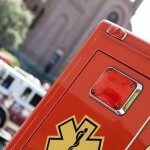 What does it take to have longevity in EMS? What changes for that provider who has ten, twenty or more years in the industry? EMS professionals who keep doing the job year after year have a vested interest in the future of the industry. At least they should have. Have you been in EMS for over 10 years? What keeps you going, what are your hopes and do you try and pass your experience and goals to the younger generation? Take a listen and be sure to share your thoughts, goals and how you have seen EMS change over the years in the comments below.